One year after the tsunami in Japan and the subsequent meltdown at the country's Fukushima nuclear plant, which prompted a discussion in the U.S. about the use of nuclear power, noted physicist Rich Wolfson will present the 2012 Science & Society Lecture, "Nuclear Energy: An Environmentalist's Perspective," on Monday, April 9, at 7 p.m. in the Robinson Teaching Theatre in Weyerhaeuser Hall at Whitworth. Admission is free. For more information, please call (509) 777-4243. Wolfson is a professor of physics at Middlebury College, in Vermont, where he also teaches environmental studies. His ability to communicate scientific concepts to a non-scientific audience is evidenced by the popularity of his lectures in the "Great Courses" series run by The Teaching Company. Wolfson has published extensively on energy issues, nuclear technology, climate change and the interaction of science and society. He is the author of Energy, Environment and Climate (W.W. Norton & Company, 2011), Simply Einstein: Relativity Demystified (W.W. Norton & Company, 2003), Physics for Scientists and Engineers (Addison Wesley, 1999), and Nuclear Choices: A Citizen's Guide to Nuclear Technology (MIT Press, 1993). 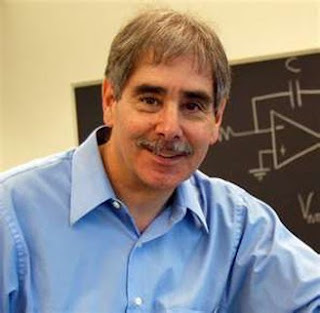 He earned a Ph.D. in physics from Dartmouth College, a master's in environmental studies from the University of Michigan, and a bachelor's in physics and philosophy from Swarthmore College. During his lecture, Wolfson will address the rewards and risks of nuclear energy, specifically the opportunities it offers in reducing carbon emissions associated with energy production, as well as the challenges it posts to the environment. "Our goal with the Science & Society Lecture Series is to address challenging and relevant problems that involve a complex interplay of scientific and social issues," says Kamesh Sankaran, an associate professor of physics at Whitworth. "We felt that it was appropriate to consider this topic of nuclear energy and the environment in the wake of the one-year anniversary of the Fukushima accident in Japan." The Science & Society Lecture Series was created by Whitworth trustees, faculty members and administrators to increase understanding and awareness of scientific advances and issues that influence areas that include public policy, law, ethics and business. The annual series features experts who address current scientific issues of interest to the general public. Julie Shanholtzer, Speakers and Artists Series and psychology department program assistant, Whitworth University, (509) 777-4263 or jshanholtzer@whitworth.edu.